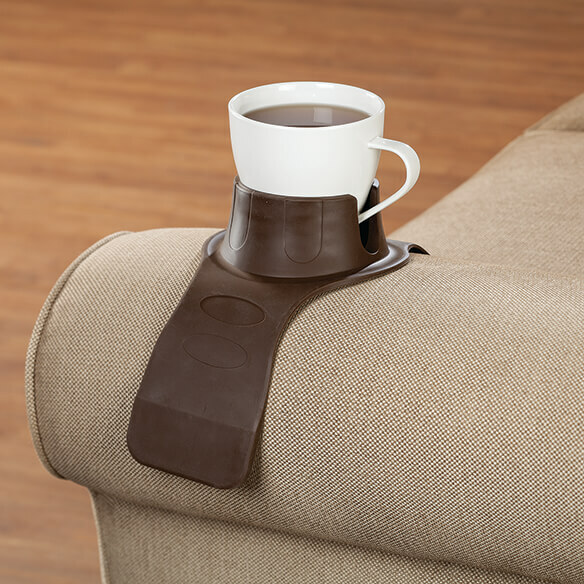 Relax — your favorite beverage is always within reach with Sofa Beverage Holder! 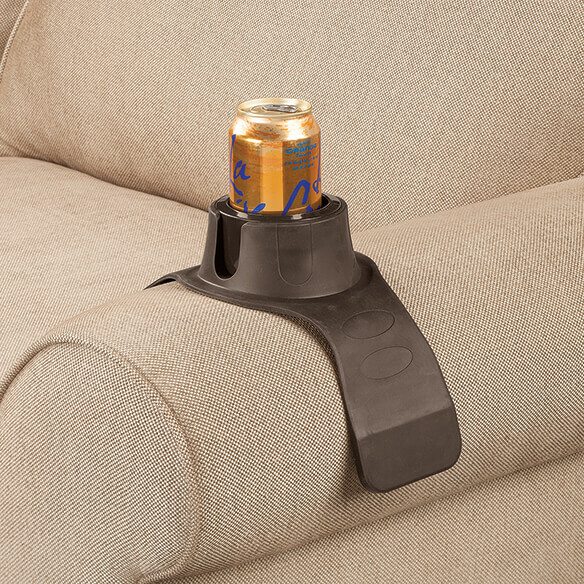 Weighted flaps secure this flexible drink holder over any sofa or chair arm 5 1/2" or wider. Thanks to reinforced sides and a removable insert, it holds a wide variety of glasses, bottles and cans — even has a cutout for a coffee mug handle! 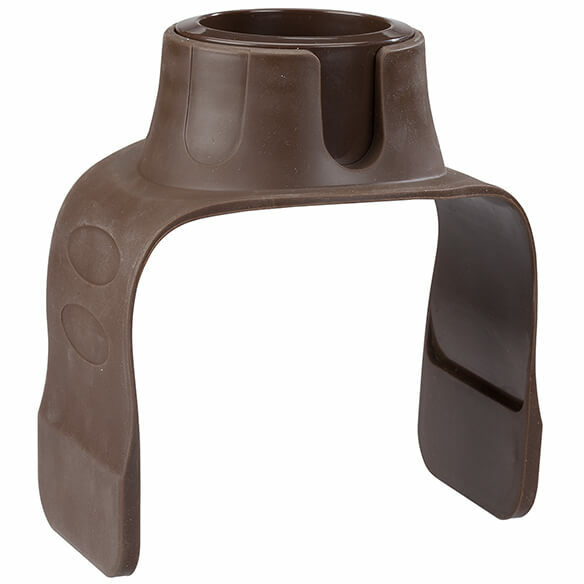 Durable, non-slip design is great for hot or cold drinks and helps protect furniture from spills and stains. 16 1/4" long x 6" wide x 2 1/4" high. 3 1/2" internal diameter without insert, 2 3/4" dia. with insert. BPA-free silicone. Wipe clean.